110 St Vincent Street, a spectacular new office redevelopment, has been completed in the heart of Glasgow’s commercial district by architects Holmes for Scarborough Development Group plc (SDG), almost exactly 80 years after the original building first opened its doors for business. 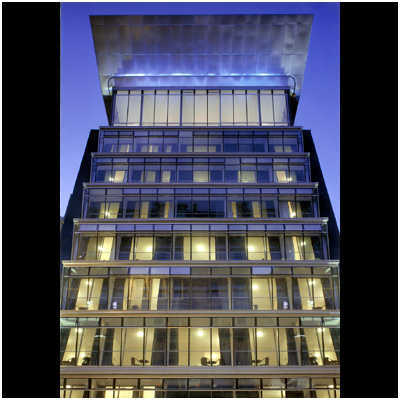 With its imposing presence on a major street intersection, 110 St Vincent Street has always occupied a prominent position in the cityscape. 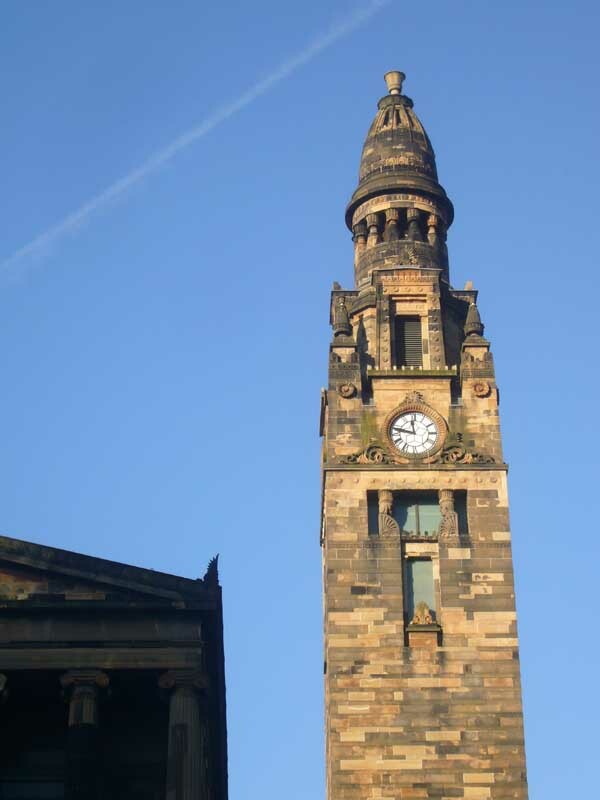 Described as one of Glasgow’s most striking buildings, it was originally designed in the 1920s by renowned architect James Miller, drawing on influences from contemporary American neoclassical commercial architecture. Boasting a Grade ‘A’ listed façade and original banking hall, 110 St Vincent Street is now a prestigious 9-storey office building. 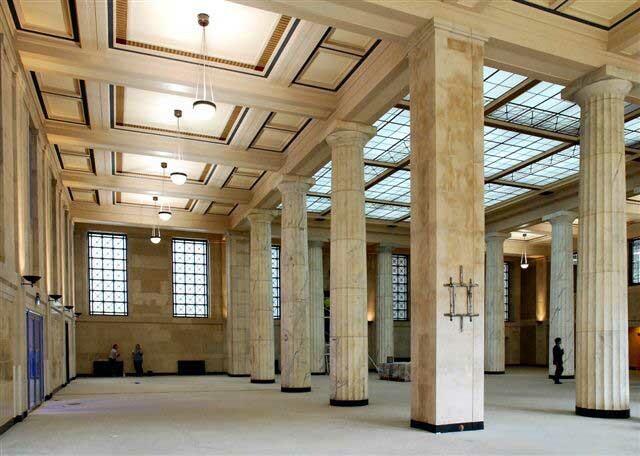 Behind the elegant classical exterior, the existing lavishly-detailed ground floor banking hall has been 100% retained with new floors added above, including an innovative additional rooftop floor with terrace. 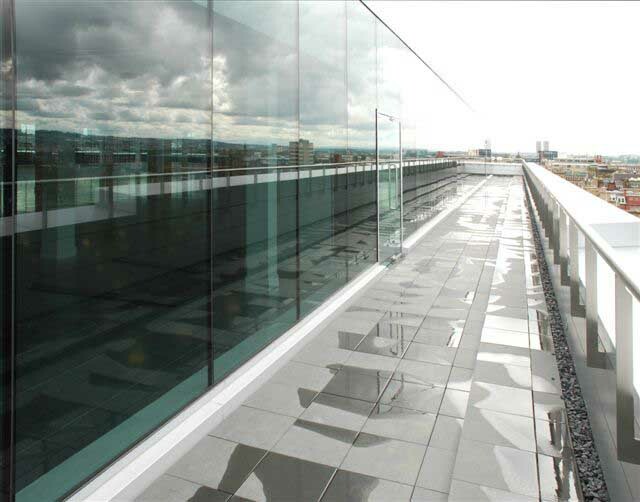 This technologically advanced penthouse floor, designed and built using structural glass, affords unique panoramic 360° views across the city. 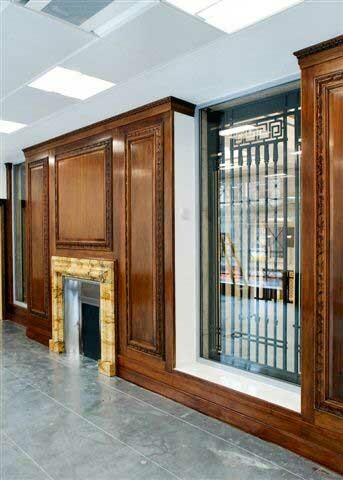 The project provided major logistical and technical challenges for architect and contractor, as well as involving extensive liaison with the planning authorities and Historic Scotland to maximise the retention of the historic interiors but still provide modern flexible office accommodation. One of the biggest challenges was fitting a new steel frame within the retained facades. 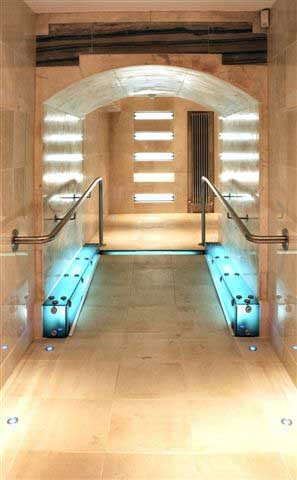 Previously the building was a U-shaped block arranged around a 12m x 20m lightwell. 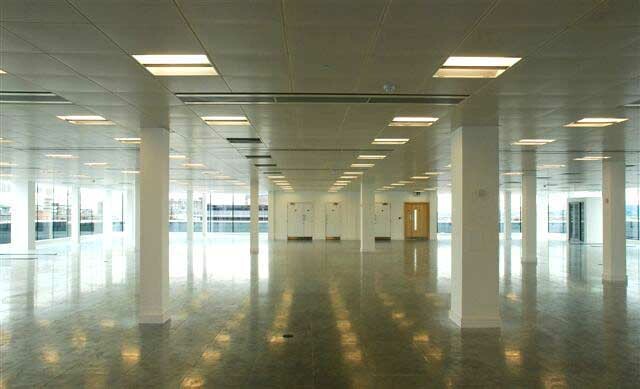 This was filled in to form a larger open plan office space of 12,000 ft2 on seven levels, using an estimated 700 tonnes of steel in the new structure above the banking hall. 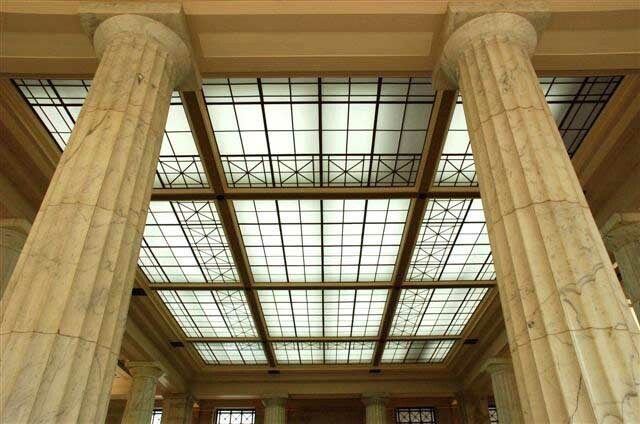 Other highlights include intelligent high-speed passenger lifts and provision of underground car parking, made possible by a unique car hoist which combines a car lift with an integral turntable, in order to preserve the historical banking hall. 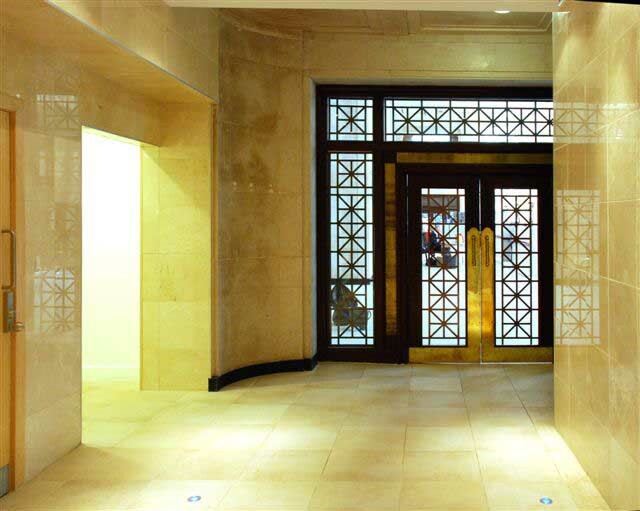 Restored and reinvented by SDG and Holmes, 110 St Vincent Street once again deserves its iconic status within the city. Scarborough Development Group plc (SDG) is an international property company with a £1.5bn development programme. SDG develops major schemes either on its own account or in joint venture partnership, with a policy to remain one of the few private property corporations operating on this basis. SDG has offices in Edinburgh, Leeds, London and China. SDG is recognised as having established itself as one of the UK’s leading independent private development companies with interest overseas in Europe and China. The current development portfolio includes schemes such as: Frenchgate Interchange and Redhouse Interchange in Doncaster, Castle Business Park in Stirling, Buchanan Gate Business Park in Glasgow and West Central in Leeds.